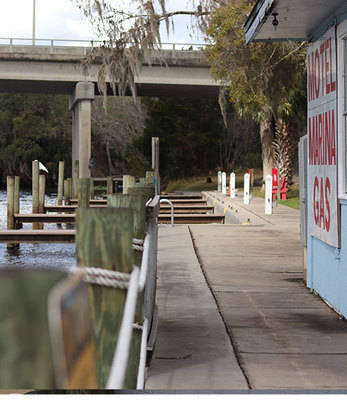 Astor Bridge Marina and Motel is located at 1575 W. Hwy 40 at the base of the Astor Bridge on the east side of the St Johns River. 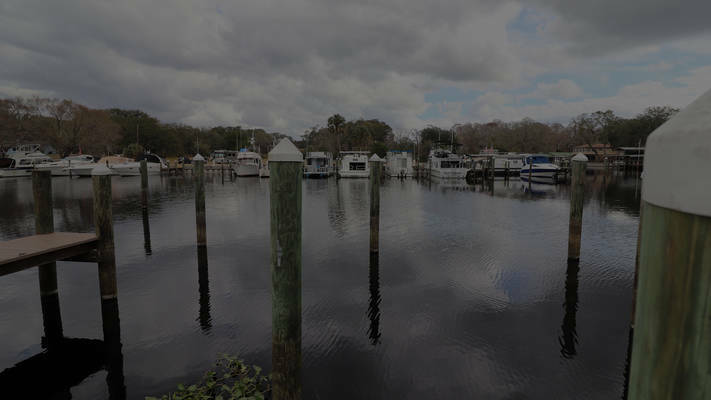 The Marina and Motel offer accommodations and amenities for the fishing enthusiasts, the avid boater, or visitors to the area experiencing the unspoiled and natural beauty along the banks of the St Johns River. Our 60 slip Marina nestled inside a completely sheltered bay offers dockage with electric and water, a bathhouse with laundry facility, boat launch ramp, fuel, pump out, dry storage, and a ships store. Riverfront motel rooms and cottages are equipped with ‘eat in’ kitchens.